Buying things online can be a frustrating process, especially on mobile. Even if the pages are well designed, there’s a lot of information required: Our contact information, shipping and billing addresses, shipping option and card details. If you’ve ever just given up sometimes, you’re in the majority. The Baymard Institute took an average across 37 different studies and found that 69% of shopping carts are abandoned. A typical, long checkout form on mobile. The new year is an opportunity to start over fresh, to overcome routines and rethink processes. And, well, despite all the New Year’s resolutions you might have made, sometimes it’s the small things that work wonders. A tidy desktop and a new, inspiring wallpaper, for example, that caters for a little inspiration shot when you need one. To kick off 2018 with wallpapers that are a bit more distinctive as the usual crowd, artists and designers from across the globe once again challenged their artistic skills and designed unique desktop wallpapers for you to indulge in. A few weeks ago, Vitaly Friedman (co-founder of this little magazine) and I had the pleasure to join Mozilla’s Developer Roadshow, traveling through four countries in Southeast Asia in just two weeks. We visited cities that are buzzing with life and met people who share our passion for the web. Our mission: To get up close with the Southeast Asian web community. We wanted to learn how different local communities are compared to Europe and the US. The mobile app industry is arguably one of the most competitive industries in the world. With around 2.8 million apps available for download in the Google Play store and 2.2 million in Apple’s App Store, getting your app seen, let alone downloaded, can be difficult. With such fierce competition, it is important to make your app the best it can be. One of the most productive ways to do this is by conducting a competitive analysis to see where your competitors are at, what is working for them, what isn’t and what you can do better. The free & easy way to design WordPress websites. Create a stunning new website with Elementor Page Builder, zero coding needed. A library for easily letting any website provide APIs. By Jiuli Gao. How should we resolve percentage margins and padding on grid and flex items? The CSS Working Group is asking the community’s opinion on a longstanding issue in the CSS Grid Layout and Flexbox specification. Rachel Andrew has put together some examples that showcase the issue. Addy Osmani writes about Tinder Online’s journey of becoming a Progressive Web App. Ana Tudor dives into browser inconsistencies of the range input slider. Maurizio Carboni shows how to make an emoji talk. Ether is a modular base for any design system. A stylish two-line display typeface designed by Ideabuk. As part of the series “Understanding the DOM” by DigitalOcean, Tania Rascia’s explains how to create, modify, and remove DOM elements in this article. Rachel Andrew summarizes the most interesting productivity tips of the web community. A great Christmas Experiment made by David Ronai. Want to learn CSS Grid? Here’s my free full-length course. Merry Christmas! Per Harald Borgen shares 13 interactive screencasts for learning CSS Grid. Read about how color space conversion works in this article by the folks of Bjango. Slava Shestopalov shows some ways for making documentation clearer, better structured, and more appealing. An elastic shape demo by Jack Rugile where you can click and drag to move the triangles. It’s a special year for Behance: it marks Behance’s 10 year anniversary. Look back at a decade of creativity. A fun pixel glyph collection game where you create and trade tiny pixel art. An article by Vincent Voyer on getting started with open source and finding your first project. A very interesting interview with Pirate Bay founder Peter Sunde on the centralization of the internet. In case you missed it: Adrien Thierry shares the fascinating story of the exciting NectarJS project. An experimental glitch effect powered by CSS animations and the clip-path property. Inspired by the technique seen on the speakers page of the 404 conference. Collective #378 was written by Pedro Botelho and published on Codrops. Productivity tips always make for a popular topic for an article, as everyone is looking for the silver bullet, that one weird trick that turns you into a productivity machine. However, the tips that work well for one person may not work so well for another. We asked the community on Twitter and Facebook to share their best productivity tips, and in this article I’m going to round these up alongside some things I’ve learned that work well for me. Innovative details and a super modern design made us choose Yelvy as the site of the week. A free learning management system (LMS) layout pack perfect for any e-course website. A great tool that lets you change code by clicking, dragging or hovering, and see the result immediately. By Nicky Case. Responsiveness is brought to a whole new level on this website: a new design for every breakpoint! Create your own fancy snowman with this Christmas Experiment. A site that collects tools and resources for naming things. With this revolutionary design tool you can start building your layouts and design with the same components that your engineers use for the production website. A free set of modern office icons designed by Vexels. Byte Arena is a gaming platform for developers where you have to code the brain of an agent. Photoshop for designers who don’t use Photoshop. A series of video tutorials for UI/UX designers who use alternatives to Photoshop but still need it for some retouching. Alex Schmitz announces some changes to the handling of the once so popular projects. Chris Krycho’s critical look on developer infatuation with Google Chrome. An experimental interface for live shader reloading in ThreeJS, regl, and other WebGL frameworks. A Wiki with information on identifying, exploiting, and escalating SQL injection vulnerabilities across various Database Management Systems (DBMS). A beautiful seasonal WebGL experience. More than a hundred free line style icons from ThemeIsle. Another fantastic Christmas Experiment: A gloomy forest bonfire. How does Bitcoin work? I built an app to show you. Sean Han made an app to explain how the Bitcoin cryptocurrency works. A controversial article by Travis Jeffery on a common security best practice. Vireo is a lightweight and versatile video processing library that powers Twitter’s video transcoding service, deep learning recognition systems and more. 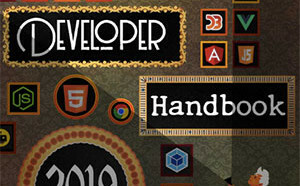 HTML 5.2 is now a W3C recommendation. Read about the substantial changes since 5.1. A free isometric game art bundle by Crevasse. Collective #377 was written by Pedro Botelho and published on Codrops. The world is a stressful place. That’s probably why if you search for articles about dealing with stress you’ll find lots of great advice. But the problem is that most of it is pretty generic. Eat good food. Exercise. Get plenty of sleep. Those are all good general tips — but is there anything more specific to the profession of design? If you’re a designer who feels stressed from time to time, then this article is for you. The web has changed the way we work. Startups rethought what offices look like, and with a laptop in your bag, you can get work done from anywhere anyways — no matter if it’s your desk at home or the cozy coffee shop around the corner. Over are the times of dark and stuffy cubicles — in many companies, at least. To remove the dust from the term “office” and give the visuals revolving around it a fresh and friendly face, too, the creative minds at Vexels designed a set of 32 office-themed icons.